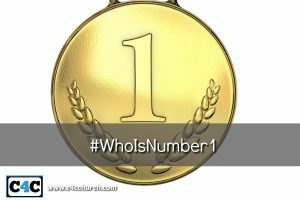 Who’s Number One? | Champions 4 Christ Inc.
Football teams and fans are battling for the right to be number one. There are polls and commentaries all chiming in on who is number one. Jesus mind was in control, His mind was to do the will of his father and Jesus flesh was in subjection to his mind. Since we have not brought our flesh under subjection we allow our desire, our wants, and our ambitions of our flesh to give its’ first allegiance to everything else but God. Our nature and tendency is to indulge our flesh, to allow our profession, our social acceptance, our livelihood, our comforts, and our pleasures the opportunity to be satisfied. We spend so much time trying to ensure that we meet the right people, drive the right car, wear the right clothes, attend the right social events, impress the right people, operate in the proper arenas so that the social powers to be of this world might take notice of us. We diligently and meticulously strive for popularity and prosperity because human conception is based on the belief that this is what it takes to be blessed and we confuse our resource with our source. So what happens is we spend all of our energy trying to reach unattainable expectations so that our flesh may be satisfied and what little we have left we then offer unto God if our flesh isn’t too tired. The mentality of society is to get all these things and if you have time then seek God. We even find preachers whose sole basis of their ministry is material possessions. Don’t get me wrong there is nothing wrong with having material things, but how we acquire it is important. God wants his people to be prosperous, God desires for his people to have life and life more abundantly, God is the creator of all and we are his children and we should have it, but first, God wants us to have His power, His anointing, His wisdom, His understanding and Once we have achieved these things then all those other things will be added unto us.